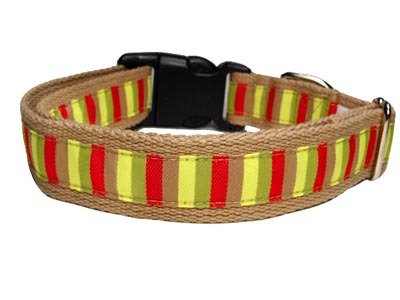 Sturdy cotton webbed collar in khaki is overlaid with a beribboned loop of fetching, candy-colored stripes. Snaps closed with a durable plastic fastener. Companion lead repeats the pattern. Companion leads are 4-feet long.